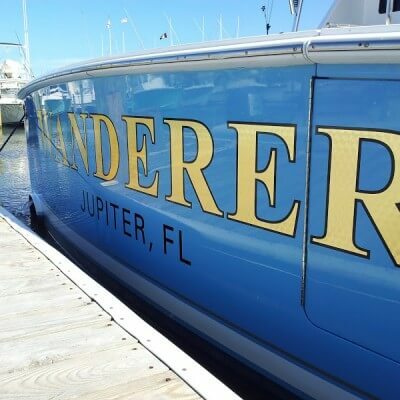 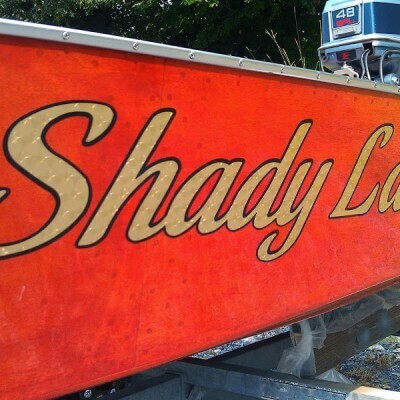 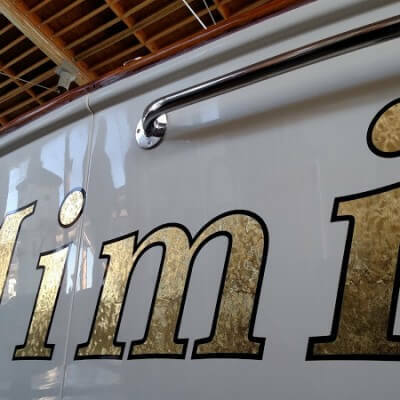 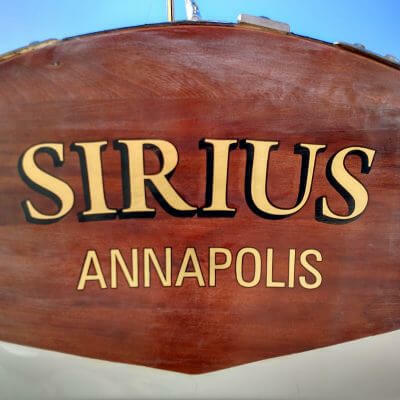 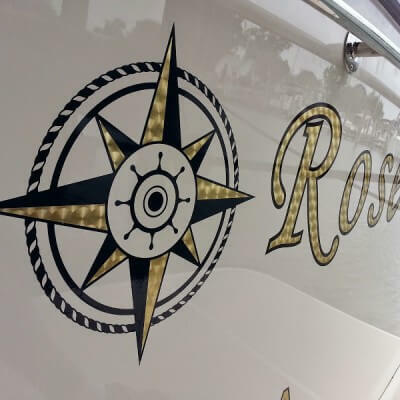 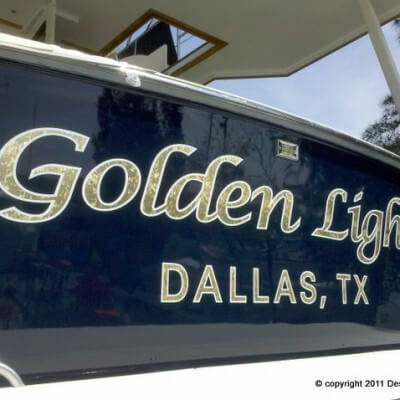 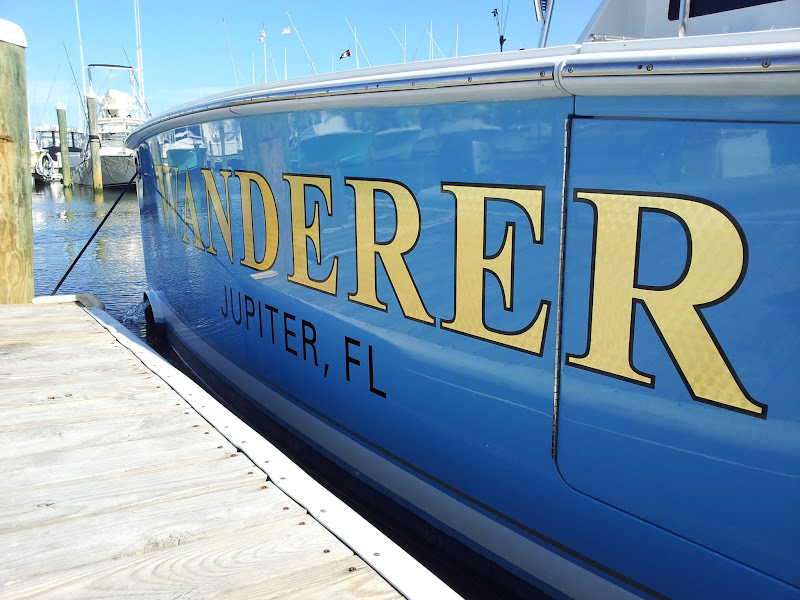 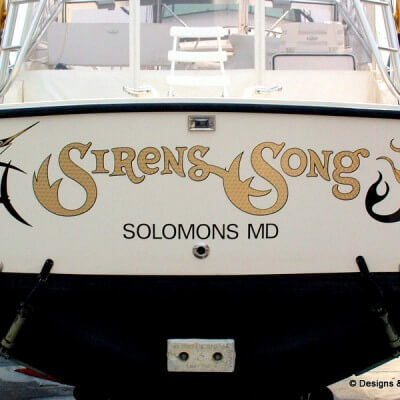 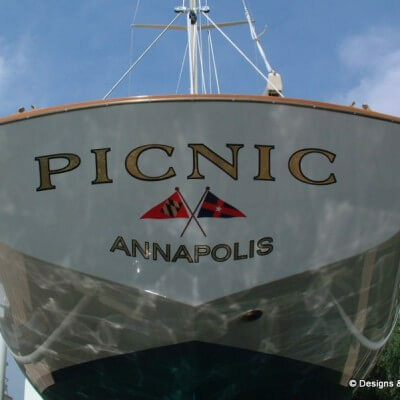 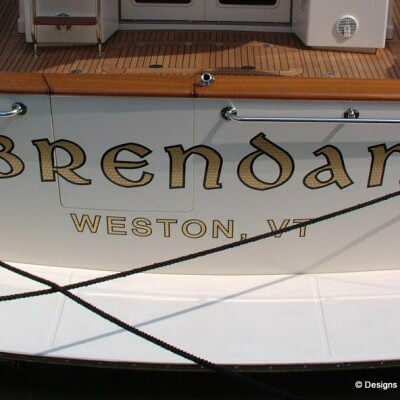 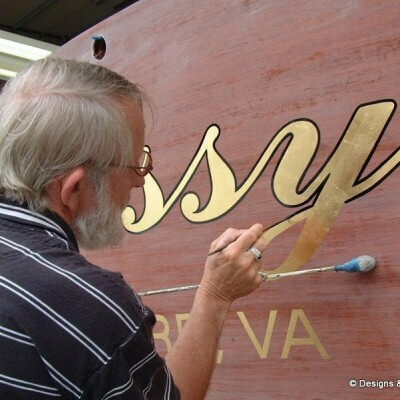 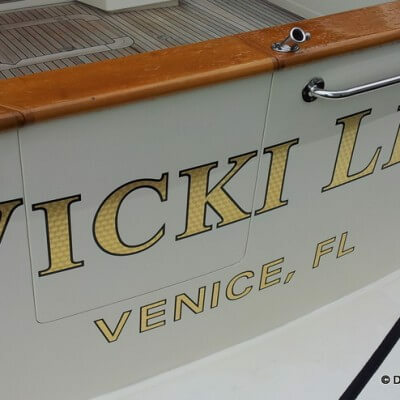 Custom gold leaf boat lettering installed on the transom of a Viking Yacht docked at Sunset Marina in Ocean City, MD. 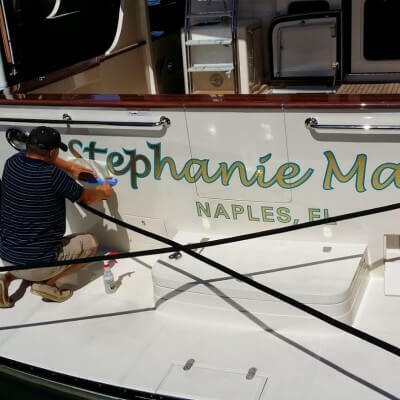 First premium black vinyl is installed. 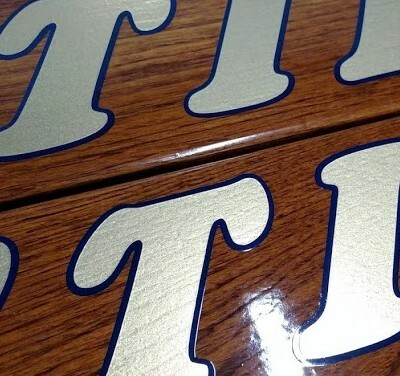 The 23 kt gold leaf film is then installed carefully on top of the black vinyl. 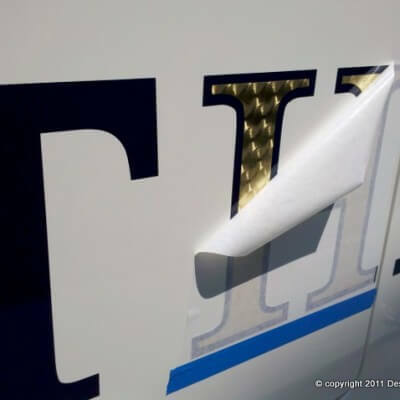 Our newest gold leaf films are rated for 15 years outdoor exposure. 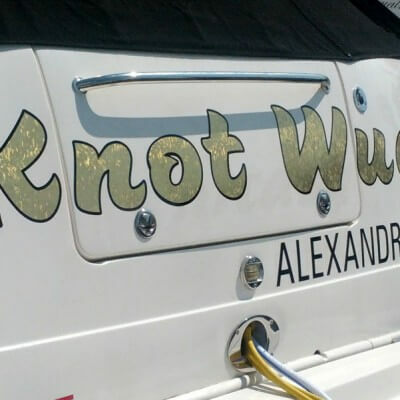 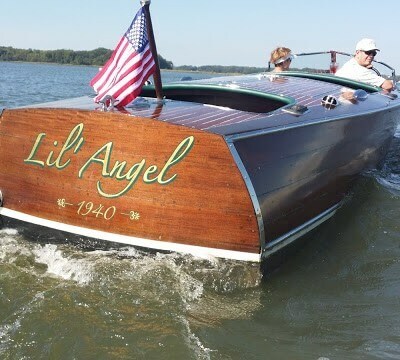 However, we recommend changing your boat name at 8-10 years. 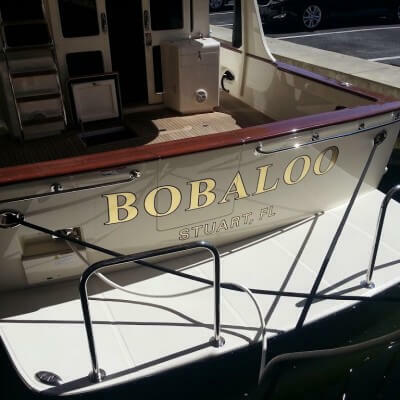 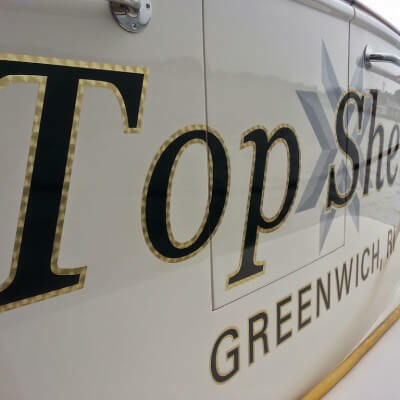 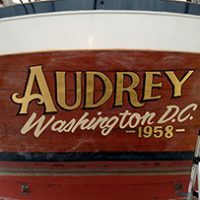 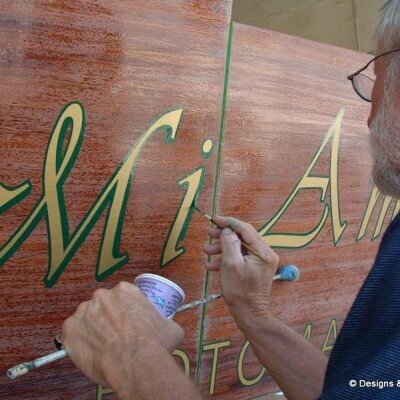 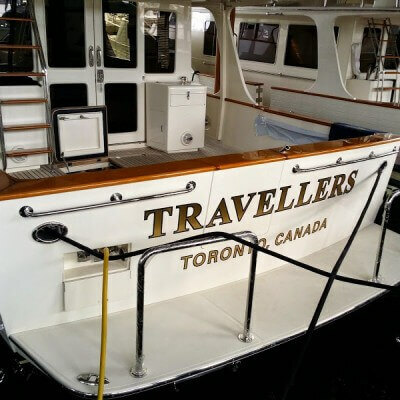 If you leave vinyl on the transom for too long you’ll end up with an embossed shadow and the transom will have to compounded well before new lettering can be installed. 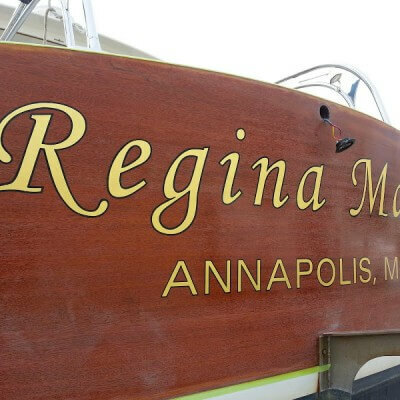 This can be prevented with regular upkeep of the wax coat on your transom.